Find comfort and convenience when you choose the KEY Rip Stop Short Sleeve Shirt! Wash and go with this soft, Wrinkle Resistant fabric that wears nicely year round. 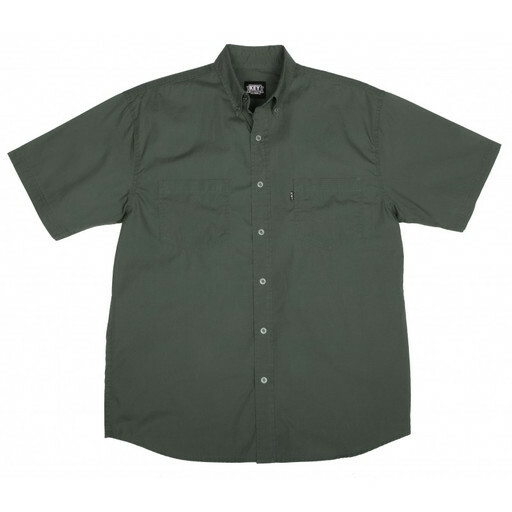 This shirt is designed with metallic buttons and features double chest pockets with a pencil slot on the left side. It is durable enough to work in, yet stylish enough to wear out for a special occasion. For the Durability you need and the Comfort you want, look to KEY!